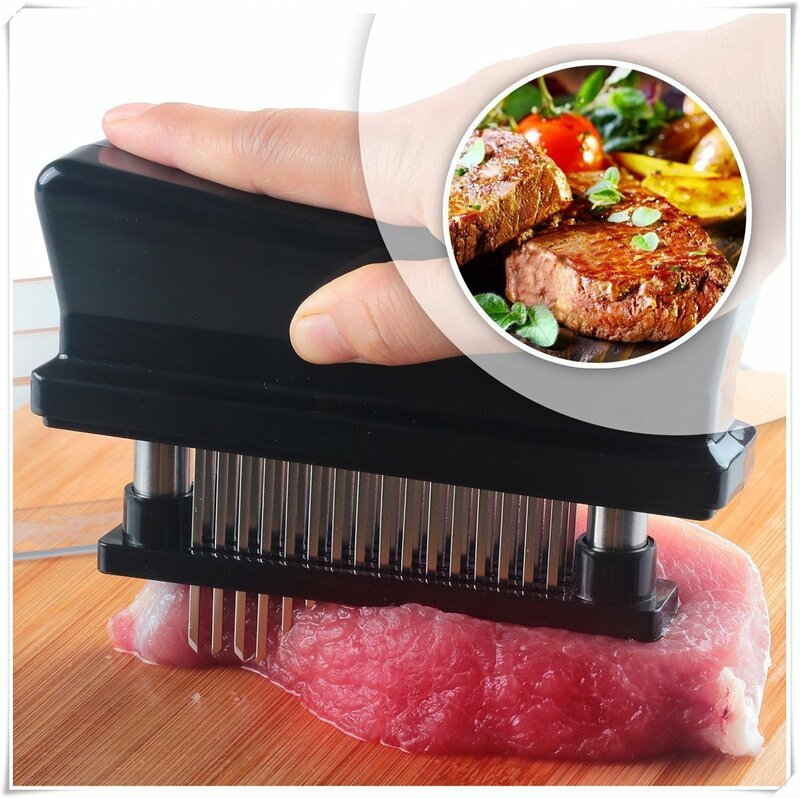 " Description This manual meat tenderizer helps make even the toughest cuts ofmeat into mouth-watering meals. See images above. The 48 stainless steelblades penetrate the meat easily which allow the marinades to soak through. Italso helps the meat to cook faster and more evenly. It features a comfortable,no-slip handle and comes with a blade guard for safety when storing. It'sdishwasher-safe, rust-resistant and available in either black or white. Makesan ideal gift for avid BBQ grillers, cooking enthusiasts and professionalchefs. Product Specification： Category: Meat Tenderizer Colour: BlackMaterial: Plastic + Stainless Steel Size: 15 11.5 3.5cm Weight: 272g GrossWeight: 308g Pin Number: 48-Blade Package includes 1 Meat Tenderizer "